“Publishers literally pursuing me. It’s mind-boggling,” says Ken Ford, an expert in artificial intelligence — and the keto diet. 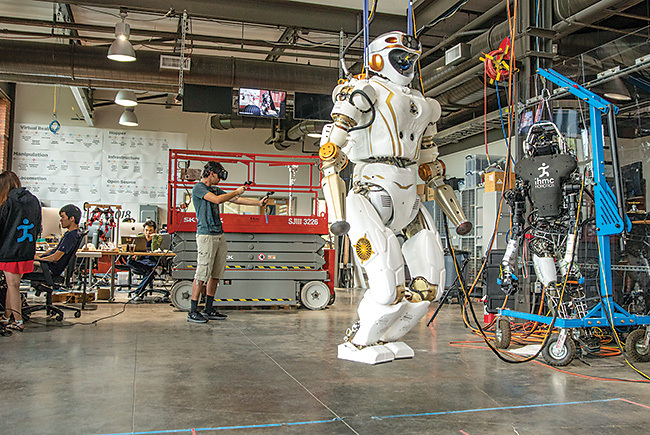 Institute-programmed robots won $1 million in DARPA contests. See videos of the robots in action at robots.ihmc.us/drc. 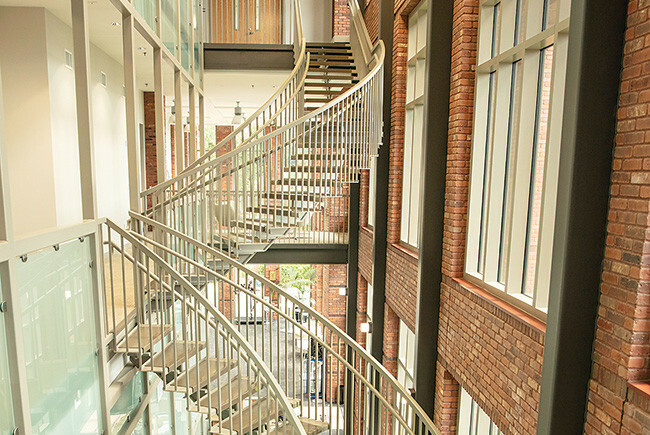 The institute’s new brick building addition is designed to evoke downtown Pensacola’s warehouse days. 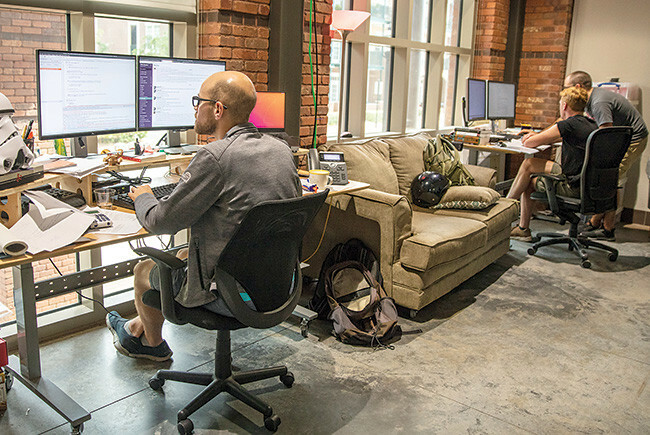 The vibe inside the institute is urban tech startup — lots of young people, lots of programming, headsets, concrete, laptops. The institute is recruiting “the best of the best,” says USF scientist Dominic D’Agostino, who’s doing research on ketosis for the military. A blue orb rotates, testing how the movement affects the vision and balance of the people inside it. 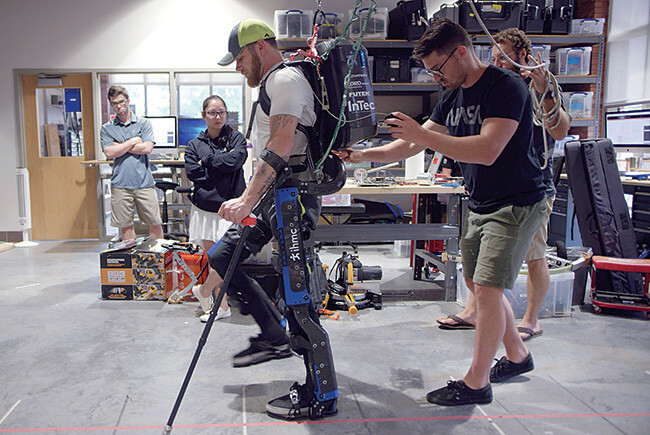 Paraplegic Mark Daniel, a research intern at the Florida Institute for Human and Machine Cognition, tests a powered exoskeleton. Ken Ford co-founded an institute that made its name in computers, artificial intelligence and engineering. Scientific prestige is now meeting fame: The institute and Ford have become well-known for their expertise in the high-fat, no-carb ketogenic diet. Ken Ford co-founded an institute that made its name in artificial intelligence, robotics and engineering. Scientific prestige is now meeting fame: The institute and Ford have entered the popular imagination for their expertise in the high-fat, no-carb ketogenic diet. Over his long career, Ken Ford has amassed a raft of accolades in the world of science. An expert in the field of artificial intelligence, he won NASA’s highest honor after heading its scientific advisory board. A member of several scientific societies, he’s a fellow of the Association for the Advancement of Artificial Intelligence, from which he’s won two prestigious awards. He holds two patents, belongs to the Florida Inventor’s Hall of Fame and was in the inaugural class of the National Academy of Inventors. He’s served on boards that advised the nation’s military on science and intelligence-gathering. Over the course of his career, Ford has brought in $25 million in federal R&D money, written or edited seven books and authored or co-authored hundreds of articles in scientific journals. Not least, he co-founded the Florida Institute for Human and Machine Cognition, a highly regarded, if confoundingly named, research outfit that put Pensacola on the research map nationally and has helped revive the city’s downtown. The son of a Navy man, Ford was born in an Army hospital in Virginia and lived in the Bahamas and Guantanamo, among other places, while growing up. He went to high school in Rhode Island and once promoted rock and roll shows. While serving in the Navy, he was transferred to Pensacola, a move he found so off-putting that he packed a crate of lobsters as a gift to the officer in charge and went to Washington to plead against the transfer. In 1981, when he reported to Pensacola — as ordered — he arrived to a downtown more suited to sailor-oriented strip clubs than science. But it grew on him. After earning a bachelor’s in business management in 1982 from New Hampshire College, he returned to Pensacola for a master’s in systems science from the University of West Florida. A doctorate in computer science from Tulane University followed in 1988. 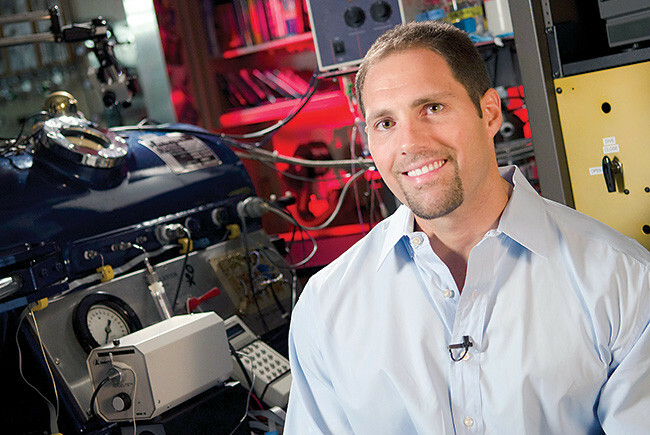 At Tulane, he met computer scientist Alberto Cañas. Both ended up on the faculty of UWF, where they had an idea: Form a research lab that would operate free from the strictures of departmental bureaucracy and teaching. They planned to recruit the best minds in various fields and devote the lab to inventing technology to enhance human ability. To those who meet him, it’s no surprise that Ford would look for a place free of traditional academic restraints. He roams intellectual space freely, growing philosophical on the meaning of progress one minute, telling a story the next and punctuating both with deft one-liners. He quotes Welsh poet Dylan Thomas while talking health. Even as his field of artificial intelligence drives the advent of self-driving cars, Ford says he “certainly won’t have one until the government forces me to. I want to have the freedom to do it myself. I see it as a solution to a non-existent problem that we’re going to reshape society around. Humans are spectacular drivers when they’re not drunk or on their iPhones,” he says. The Navy and National Science Foundation were so intrigued by Ford’s and Cañas’ idea for the institute that they funded exploratory grants for them to develop it. The two teamed with a group of senior academics Ford calls the “graybeards” who formed the core of the institute and began hunting a home. An admiral suggested Pensacola. 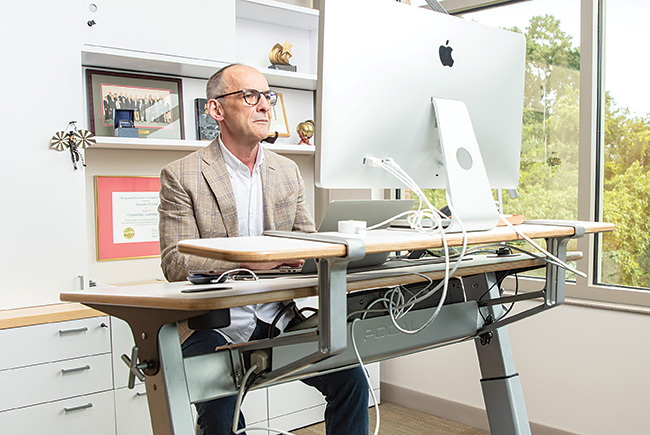 The bureaucratic stars aligned, and in 1990 Ford and Cañas, who’s now an institute associate director and a senior research scientist, launched the Florida Institute for Human and Machine Cognition. The name is meant as a common denominator for research that explores how humans seek to amplify their abilities. The institute’s research into “humancentered systems” encompasses robotics, computing, cybersecurity and humanmachine interaction in general. 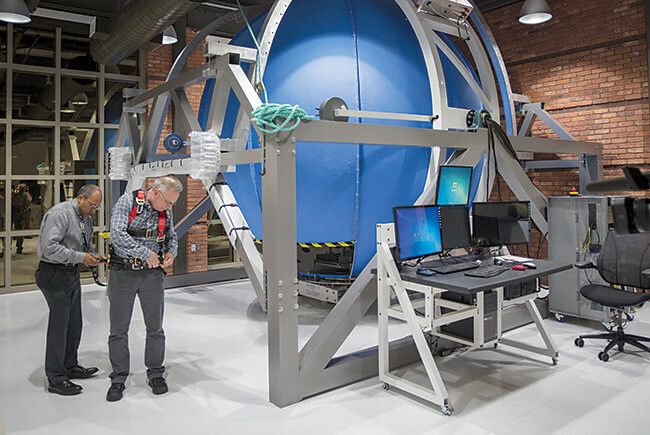 Like other research labs, the institute’s major customer is the federal government, with the Defense Department and NASA leading the way, followed by other agencies and private industry. The institute grew initially under the auspices of the University of West Florida before becoming an independent institute with its own board under the State University System. 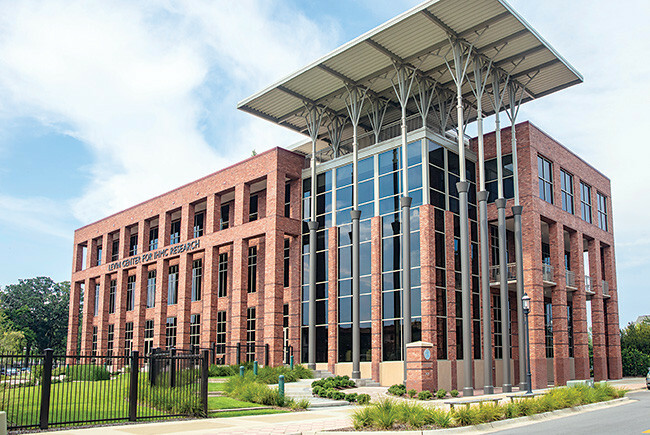 The institute has continued to grow in national prestige even as its profile inside Florida has remained low — a function of both the nature of its research and its location: The institute is so far west in Florida that it’s hours closer to Bourbon Street than it is to the University of Florida and other Florida institutions. “Ken certainly brought a national profile and tremendous research programs that made Pensacola a research destination and put Pensacola into conversations it wasn’t in before,” says John C. Cavanaugh, who was University of West Florida president from 2002-08 and now is CEO of the Consortium of Universities of the Washington Metropolitan Area.